PALY, originally uploaded by stallio. virago hasn't had a cassette deck for years, and wanted a new one to listen to all her old tapes. the first one we picked up at target was a $10 clunker that literally ate the first tape she stuck into it. 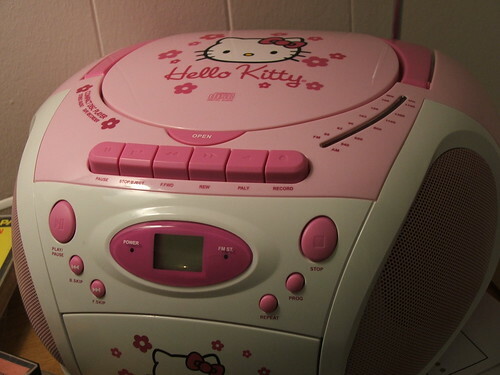 she returned it and bought this $40 hello kitty unit instead. Yeah! That's a feature I've always wanted!